Whether you are an experienced teacher, just starting your training, or starting in your own classroom as an NQT for the first time, beginning the year right will make things so much easier for the rest of the year. By now you have probably meet your class(es) and have begun some lessons, but how can you keep that initial momentum going? 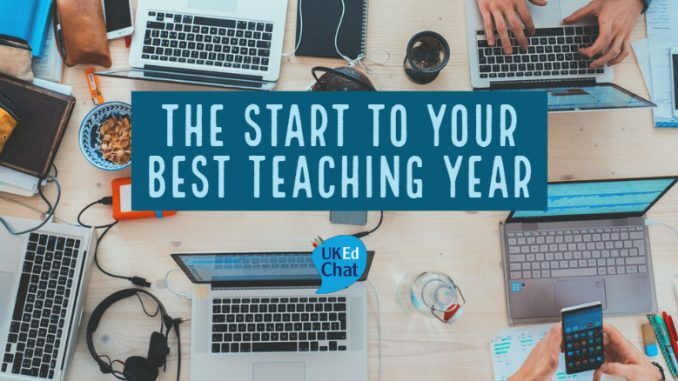 In this week’s #UKEdChat discussion we will discuss, hosted by @LukeRicha we will discuss starting the year off right, expectations and how reflection can reap rewards. Why did you want to become a teacher? Has being a teacher reached, or exceeded your expectations? What was the best advice you’ve been given as a teacher? What advice would you give someone who’s just starting out? Do you think you can “master” teaching? Do you think teachers focus enough on their own improvement? What barriers are there to personal improvement as a teacher? How do you and your school reflect on your teaching? Is it constructive? Would you recommend teaching to a friend or family member? The new academic year has kicked into action, the exercise books have been counted out and the seating plans have been designed. But before the work mounts up, before things get too hectic, let’s have a reminder of why we do this job in the first place – just to fire us up for the best teaching year possible. Why did you want to become a teacher? 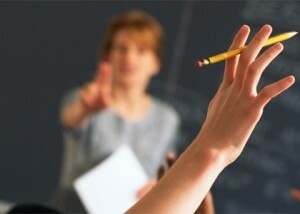 Has being a teacher reached, or exceeded your expectations? “I wanted to make a difference to children’s lives – helping those that are disadvantaged to have the best start in life possible & challenging the more able. Being a teacher always exceeds expectations, in challenge, reward & constant transformation of pedagogy.” @gregchantler, and many others, talked about their love of teaching starting with the students, their progress, education and them as young people. “(Teaching) was the best decision I ever made,” said @Mr_Michin after leaving a career in law. “It was my appalling English teachers at secondary (school) that made me choose my subject” said @GemLCampbell. It’s interesting that it’s a negative experience of school that got her into teaching, not the positive one many of us go back for. “Don’t take individual student attitudes or behaviour to heart. You are a small part of their day and a fraction of their life. If they’re grumpy or disinterested in learning, it’s not your fault.” @SarahPreston92 passed on this invaluable piece of advice, it’s easy to forget that. Although we do have a big influence on students, so much of their lives is out of our control – we need to remember that. “This is a job where your greatest asset is your colleagues. When things are getting you down or times are tough, always turn to someone for help,” @beachhist gave this pertinent advice – not just for new teachers, but something we could all do with remembering. “You can’t be a good teacher without looking after yourself first,” said @Jeneall. It’s all about making sure you’re well enough to be your best in the classroom. “Surround yourself with positive people that inspire you. Avoid negativity. Be creative, take risks, have fun… most of all put the children at the centre of everything you do.” @SadiePhillips underlined how essential positivity is in the classroom. “You can’t as the goalposts are always moving, but we teachers are always developing as well.” @samstewart_93 made the point that teachers often work hard just to keep up, not to mention moving forward in the job. Other contributors suggested that each class and student are so different that you can never completely master it, you just get better at adapting to it. 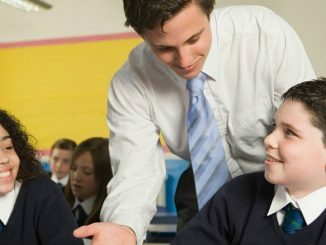 “Depends on stage of career and ethos of school,” said @SarahPreston92, “if SLT exude an attitude of always looking to improve it could motivate or de-motivate as you might feel that you’ll “never be good enough. Even in best environment time is always an issue.” Sarah summed up the discussion nicely. Everyone loved the idea of constant improvement – time, the ethos of the school and the attitudes of the staff were the controlling factors. “I think one of the greatest barriers to personal improvement is, and always will be, time. There is such a pressure on teachers to provide results and jump through hoops that even maintaining can prove difficult,” said @MrD_ICTeach, there is an irony in that teachers – people whose lives are all about learning – frequently don’t have time to learn themselves. Are you doing anything to make this your best teaching year ever? What you recommend to get the year off to the best start? Your best teaching year on UKEdChat was hosted by Luke Richardson. Luke Richardson is a teacher, writer and blogger based in Nottingham. He Tweets @LukeRicha, and blogs at http://www.LukeRichardsonEducation.com. Vote for your favourite topic for #UKEdChat. Winning topic will be discussed at 8pm(UK) on Thursday 13th September. Like a DM reminder of the topic and time? Just reply ‘Yes’ to this tweet. Via @ianrmatt – How Comfortable Are You with Technology in Your Classroom?